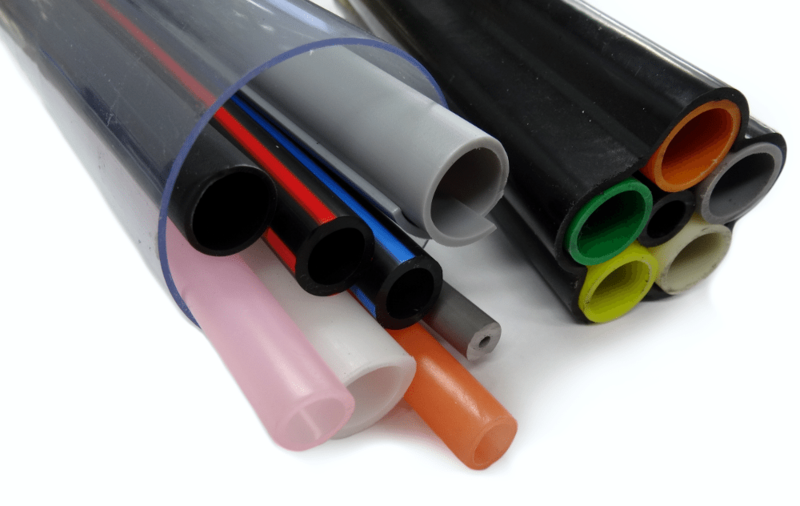 RBM Plastics Clear Vinyl Tube is a lightweight clear tubing and is extremely flexible. The tube has a smooth interior and exterior that prevents residue build-up and makes it resistant to bacterial action. This type of clear flexible tube is widely used in the food & beverage, medical and pharmaceutical industries. The tubes are made of different materials in a variety of thicknesses, sizes and colours. As everything is done in house here at RBM Plastics, we are able to custom manufacture the tubes in a design that is suitable to the application you are going to use them for. Our tubing is suitable for use with water, alcohol, oils and most solvents. We manufacture our tubing to comply with Australian Standard Codes and are able to manufacture both Food Grade and Medical Grade Clear Vinyl Tube. RBM Plastics currently manufacture corrugated tubing using both low-density polyethylene and nylon. Our goal with these is to give our customers better and varying options depending on the nature of their projects. In addition, buyers can choose between split and un-split tubing for their use. We are also manufacture high quality pool hoses that are currently used by dozens of homes across the country. Our corrugated tubing happens to be in high demand mainly because it is currently used in an array of industries across the country. In order to cater to this growing and varying demand our tubing is now available in various off the shelf sizes and coil lengths. At RBM Plastics, we are known for our high-quality yet competitively priced corrugated tubing. We are experts with plastics and our family-owned business is all about providing our clients exactly what they want. Customised solutions are what we are all about. Whether coated or lined, corrugated tubing is used in many industries, the tubing lends itself to a wide variety of applications in functions that require flexibility, durability and strength. They are used very commonly in drainage. With many uses in building, construction, packaging and signage industries. Our split corrugated tube is popular with electricians as wires can be bundled together inside the tube giving the work area a neater look. The RBM Plastics Gas Monitoring Tube helps with testing Air Quality in any given environment. The tube is used in conjunction with a Gas Detection System and help with extracting, filtering and drying atmospheric samples. Currently, the tubing is used heavily in the mining industry to test the undergroud air quality. The RBM Plastics Gas Monitoring tube is available as a single tube (in many colours) or in a bundled system. The tube system help to effectively detect and measure the presence of Oxygen, Carbon Dioxide, Carbon Monoxide and Methane levels in a mine, this allows the company to classify any potential dangers before they happen.